In Mali, one in five children does not reach the age of five. But 60% of these deaths are related to complications of simple diseases that would be easy to treat with medical resources available locally if they were detected and treated in time. The Pesinet Association's mission is to sustainably reduce the mortality of young children by promoting access to existing health systems. In partnership with local health schemes, Pesinet designs and rolls out local services for mothers and their children. Pesinet has developed an innovative service to enable primary healthcare for children up to the age of five, using mobile and Internet technologies. Using a simple mobile phone application, health data about the child (weight, stool etc.) are gathered regularly on the ground by monitoring agents and sent to a database which lets the local doctor monitor the child on a regular basis. When a child falls sick, it will be treated at a reduced price by the health center using a system of micro-health insurance. For less than one euro a month, equivalent to an average day’s wage, families can afford a weekly home health checkup for the child by health staff, a free medical consultation if anomalies are detected remotely by the doctor, cheaper medicines to treat the child, and free follow-up consultations when necessary. This project therefore improves the health monitoring of the child, make families more aware of the value of prevention, and accelerates the use of treatment when children fall ill.
94% satisfaction rate among subscriber families. Pesinet subscribers use care resources three times more than the average local children. Ashoka, a registered 501c3 not-for-profit organization in the United States, is the global association of the world’s leading social entrepreneurs—men and women with system changing solutions for the world’s most urgent social problems. Since 1981, they have elected over 2,500 leading social entrepreneurs as Ashoka Fellows, providing them with living stipends, professional support, and access to a global network of peers in 70 countries working in every area of human need – from health care and education, to civil justice and the environment. For 25 years, Ashoka has supported leading social entrepreneurs by investing in them and connecting them to a global community of their peers. Ashoka has no religious or political affiliation and receives funding primarily from individuals, volunteer chapters, foundations, and business entrepreneurs. With the global community, they develop models for collaboration and design infrastructure needed to advance the field of social entrepreneurship and the citizen sector. The Fellows inspire others to adopt and spread their innovations - demonstrating to all citizens that they too have the potential to be powerful changemakers. 1. Support Social Entrepreneurs - First, they support individual social entrepreneurs—financially and professionally—throughout their life cycle. 2. Promote Group Entrepreneurship - Second, they bring communities of social entrepreneurs together to help leverage their impact, scale their ideas, and capture and disseminate their best practices. and facilitate the spread of social innovation globally. All of the programs in these three areas contribute to Ashoka's vision and mission; all understand the historical transformation of the citizen sector taking place and are building upon that understanding. None of the programs exist to provide services exclusively. Ashoka's three levels are mutually reinforcing; together they are bringing the vision of Everyone a Changemaker closer to reality. 1. Civic Engagement: Ashoka Fellows and initiatives effectively organize and amplify the voices of private citizens, empowering a culture of participation. 2. Economic Development: By expanding economic opportunities, strengthening bargaining power, and developing markets that are more responsive to the poor, Ashoka Fellows and initiatives are creating economic independence for individuals around the globe. 3. Environment: Creating broad solutions that protect the environment while also tackling closely linked social problems is the core mission of Ashoka's sustainable environmental efforts. 4. Health: Ashoka Fellows are improving the quality of human health worldwide by strengthening health care delivery systems, increasing access to essential medicines, and establishing public-private partnerships that foster health equity. 5. Human Rights: Around the world, Ashoka supports innovations that secure the full range of civil, political, and social rights for all people. 6. Learning/Education: Ashoka supports the development of new methods for learning and education that engage youth in the learning process. Ashoka Fellows' innovations develop schools, curriculum and programs that encourage problem solving, decision making, responsibility, teamwork and creativity. Asia - Ashoka’s Asia programs have identified nearly 600 leading social entrepreneurs in Asia, making this the largest region of activity in the world. Europe - 229 Ashoka Fellows have been elected in 14 European countries to date. Middle East / North Africa (MENA) - To date, they have elected 20 Fellows from the region. North America - Ashoka's presence in North America began with the launch of Mexico in 1987, followed by the expansion to the United States and Canada in 2000. South America - Since launching Ashoka Brazil in 1986, Ashoka has elected over 500 leading social entrepreneurs from South America into its Global Fellowship. Over 25 years, Ashoka has helped change the lives of millions all around the world through its Fellows, programs, and staff. And while the numbers of those helped are extraordinary, they are most proud of the impact the Fellows have had in terms of systemic change—shifting societal perceptions, encouraging new behavior patterns, and revolutionizing entire fields. AstraZeneca is a global, innovation-driven, integrated biopharmaceutical company with the primary focus to discover, develop and commercialize prescription medicines for six important areas of healthcare: Cardiovascular, Gastrointestinal, Infection, Neuroscience, Oncology, and Respiratory & Inflammation. AstraZeneca also works with others to combine complementary skills and strengthen the platform for success in meeting a common goal: improved healthcare. The company invests over $4 billion in R&D each year. About 11,300 work under its R&D organisation, with 14 principal R&D centres in eight countries, and 9,600 employees work at Supply and Manufacturing sites in 16 countries. AstraZeneca employs over 57,200 people (46% in Europe, 31% in the Americas and 23% in Asia-Pacific) and is active in over 100 countries with a growing presence in emerging markets including China, Brazil, Mexico and Russia. global in that we believe we have the ability to meet healthcare needs in both established and emerging markets efficiently and effectively. We believe that there continue to be opportunities to create value for those who invest in pharmaceutical innovation, and that AstraZeneca has the skills and capabilities to take advantage of these opportunities and turn them into long-term value through the research, development and marketing of medicines. For us, this is the core of our commitment to our stakeholders and society. Successful pharmaceutical innovation, delivered responsibly, brings benefits to patients, creates sustainable value for shareholders and contributes to the economic and social welfare of the communities we serve. Sanofi S.A. is a French multinational pharmaceutical company headquartered in Paris, France, the world's fourth-largest by prescription sales. Sanofi engages in the research and development, manufacturing and marketing of pharmaceutical products for sale principally in the prescription market, but the firm also develops over-the-counter medication. The company covers 7 major therapeutic areas: cardiovascular, central nervous system, diabetes, internal medicine, oncology, thrombosis and vaccines (it is the world's largest producer of the latter through its subsidiary Sanofi Pasteur). Sanofi is a full member of the European Federation of Pharmaceutical Industries and Associations (EFPIA). The company was formed as Sanofi-Aventis in 2004 by the merger of Aventis and Sanofi-Synthélabo. 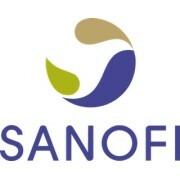 It changed its name to Sanofi in May 2011. In January 2012 Sanofi announced that they will invest $125 Million in Warp Drive Bio to support their cancer research program. In addition to internal research and development activities Sanofi is also involved in publicly funded collaborative research projects, with other industrial and academic partners. One example in the area of non-clinical safety assessment is the InnoMed PredTox. The company is expanding its activities in joint research projects within the framework of the Innovative Medicines Initiative of EFPIA and the European Commission. Aviva is a British multinational insurance company headquartered in London, United Kingdom. It has around 31 million customers across 16 countries. They provide around 31 million customers with insurance, savings and investment products. In the UK Aviva is the largest general insurer and a leading life and pensions provider. In addition, Aviva has a focus on five markets in Europe and, in Asia, the company is focused on the growth markets of China and South East Asia. Aviva is also the second largest general insurer in Canada. Aviva's main activities are the provision of general and life insurance, long-term savings products and fund management services. The group has around 27,700 employees, 31 million customers and Aviva Investors has £241 billion assets under management. Bel’s Corporate Foundation was created in May 2008 by the Bel group and its reference shareholder, Unibel. The Bel Foundation was created to promote a balanced diet and preserving the environment, as far as it is required for a healthy diet. Rather than support big initiatives, the Foundation supports a number of projects around the world. The Bel Corporate Foundation is led by two committees: the Board of Directors and the Selection and Project Follow-up Committee. The Board of Directors defines and guides the Foundation’s strategy and examines funding applications twice a year. It is made up of representatives of the Bel and Unibel founders, employees and quality controllers. The Selection and Project Follow-up Committee, made up of employees and outside persons, analyses and selects projects that answer the Foundation’s criteria throughout the year. The Selection and Project Follow-up Committee presents these projects to the Board of Directors, follows up the projects that have been approved by the Board of Directors and ensures that they are implemented. 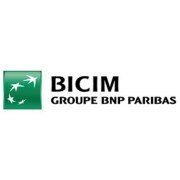 BICIM was established last January 23, 1998 in Mali. BICIM has developed a strategy focused on individual customers, professionals and businesses. Driven by dynamic growth in profitability, BICIM today reinforces its sales network with 8 branches 36 branches, 1 dedicated business centre, and 28 Western Union points. In West Africa, 1 out of 6 children dies before the age of 5, and in 60% of the cases, death is caused by the complication of benign illnesses (malaria, respiratory infection, and diarrhea). These illnesses could easily be treated in the existing local medical centers, but families fail to see a doctor enough or on time. Djantoli helps mothers look after the health of their children by developing sustainable solutions to facilitate a faster access to care. Djantoli created a system of follow-up care, alert and access to healthcare which allows preserving durably the health of children. The organization has been working in Mali since 2010 and Burkina Faso since 2013. 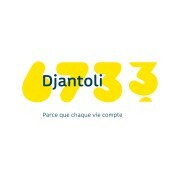 Djantoli has been created in 2007 under the name “Pesinet” by Pierre Carpentier, Antoine de Clerck and Anne Roos-Weil. All three come from different backgrounds (social investment in Africa, telecommunication, social entrepreneurship) and gathered around one common will - offering a new, sustainable and balanced approach to development. The Djantoli project was initiated in the framework of an academic program before being tested out on the field. It originated from one simple idea - following up a child’s weight enables following up her health. Since then, the project has evolved a lot. The Alcatel-Lucent Foundation is dedicated to making a difference in the communities where Alcatel-Lucent and its customers are present across the globe. The foundation’s prime mission is to respond to today’s global challenge of digital inclusion and sustainability. Our focus is on providing innovative programs for underserved communities across the globe enabling youth, and particularly you women, gain access to education and life skills programs. We believe we can make a difference by helping our youth to contribute as citizens and community leaders in tomorrow’s global digital world. With a strong focus on complete solutions that generate value for customers and help them realize the potential of a connected world, Alcatel-Lucent is organized around two operating segments and three geographic regions. Alcatel-Lucent’s operating segments are responsible for developing, delivering and supporting best-in-class products, solutions and services for our service provider, enterprise and industries customers. Our Networks group is responsible for driving network product portfolio, addressing our customers’ network requirements in all market segments. Our Software, Services & Solutions group provides a comprehensive, market-leading suite of software solutions and services offerings designed specifically to meet the needs and demands of communication network operators and strategic industries. These operating segments, along with our Enterprise and Strategic Industries businesses, are aligned to support our Application Enablement vision and the High Leverage Network™ architecture. The company’s geographic regions are the Americas; Europe, Middle East, and Africa; and Asia Pacific. The Kering Foundation is structured around three complementary governance bodies: a Board of Directors, a permanent management team and a steering committee for each of its three key regions of operation (Americas, Western Europe and Asia). This method of operation and governance ensures transparent management of the funds allocated by the Foundation. Under the chairmanship of François-Henri Pinault, the Kering Foundation board meets at least once a year to assess its strategic direction and ensure proper governance. The board of directors is formed of three colleges: a Founding Members college, a Personnel Representative college and a college of Qualified Personalities. Biographies of all members appear below. The foundation is at the heart of the Group’s philanthropic activities and social responsibility. From its inception in 1987 to the present it has been proactively involved in a natural extension of the company’s mission: helping everyone to communicate better. Orange foundation’s mission is to create links between individuals, and in particular to make communication easier for those who are excluded for several reasons; health, handicap or because of their economical situation. By fighting against sensory isolation, by promoting a better autonomy in the everyday life and in the professional life and by encouraging social and cultural development, Orange Foundation is mobilized to make the world more accessible. It has already been 20 years since Orange Foundation is fighting alongside associations to champion the cause of autism: to evolve mentalities and behaviors, to create appropriate structures and help families and continue the research. Different forms of support of the foundation allow a larger social integration of individuals: access to education for handicapped persons and in particular blind and deaf, a local patronage worn by employees of the group and a large project to reduce the digital divide: Orange Digital Solidarity. At an international level, the foundation’s action is centered on access to education and health. The Group's employees are a major component of the patronage of the company through volunteering, sponsorship of projects, collectives’ actions for humanitarian causes and with a proactive policy skills sponsorship. 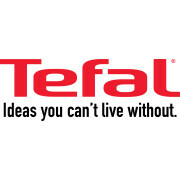 Tefal is a French cookware and small appliance manufacturer owned by Groupe SEB. Its name is a portmanteau of the words TEFlon and ALuminium. In 1954, Marc Grégoire, Tefal founder, invented the non-stick frying pan and created the non-stick cookware category. Over the years, through organic growth and acquisitions, Tefal has become the leading non-stick cookware maker worldwide and a world leader in pressure cookers, electrical cooking appliances, food and beverage preparation, irons and scales.